"It's definitely a growing trend," said Erik Marshall, a partner at Hank Lane Music and Productions, a company that recruits stars to preform at private and corporate events in New York. He said he has handled events involving Neil Sedaka, the B52's, Blues Traveler and Billy Joel. "You used to hear about it maybe once a year, even as recently as five years ago", he said. Now, he added, his company handles more than 20 such gigs a year. JA RULE stopped by a party at Shaquille O'Neal's mansion in Miami Beach the Friday night before last as a favor to the host, who asked him to grab a microphone and rock the house to surprise his guests. He obliged, he told friends, but for only two numbers. Ja Rule, the platinum-selling rapper accustomed to Madison Square Garden, could not afford to strain his vocal cords. He had an important gig the next night. He was playing a Miami steakhouse. The occasion was a bat mitzvah. The next night he displayed considerably more fire, performing for more than an hour in front of 215 friends and relatives of Amber Ridinger, 13, sometimes barking out their names as he rapped. But that wasn't all. As he closed out the set, another superstar, Ashanti, joined him onstage for three numbers. 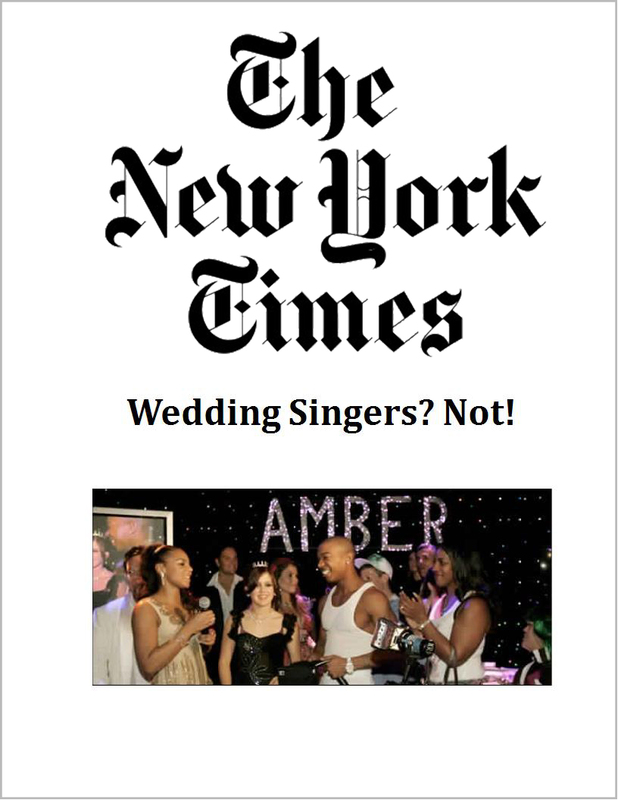 As they preformed, Amber stood onstage with them, in a $27,000 Dolce & Gabbana dress, waving to the crowd, particularly her deep-pocketed parents, Loren and J. R. Ridinger, the founder of an Internet marketing company. The Ridingers, who recounted the evening in an interview, proudly acknowledge that their booking two pop stars for a party that would typically call for a kitschy cover band wearing ill-fitting tuxedos was a social achievement, even in Miami money circles. In this case the stars worked free as friends of the family, the Ridingers said. But for the mega-rich, Mr. Ridinger said, a superstar's fees should be no deterrent. "If people can afford to do it, it certainly does make a party special, "Mr. Ridinger said. "It brings an electricity to it you otherwise couldn't create." The concept is not hypothetical. Disco throwback acts like KC and the Sunshine Band, young stars like Beyonce Knowles and Christina Aguilera, and even legacy acts like Elton John, the Rolling Stones and Paul McCartney have all taken part in an increasingly, common star-for-hire side business, quietly signing to play the occasional but very lucrative private party, be it a wedding or a birthday bash.